Vidyasahayak Bharti 2018 for Std. 6 to 8. Gujarati Medium Advertisement i.e Jaherat Published in News Paper & on official website www.vidyasahayakgujarat.org. There are total 3262 Vacancies according to notification. Online Application of Vidyasahayak Bharti Std. 6 to 8 will be started from 19-10-2018. Primary teachers in Government School is very Important for Every Schools of Gujarat. GSEB Gujarat decided to Recruit this Teachers. So all Eligible candidate can Fill up Form Online for this Vacant Teachers. All Information Like Advertisement Number, How to Apply, Age Limit, Eligibility Criteria are Mentioned Below. For more information, you can check www.vidhyasahayakgujarat.org and get the accurate notification about the job. For the post of Vidyasahayak Bharti or primary teacher of 6 to 8th standard, the job seeker must have PTC or Higher secondary school certificate with minimum required percentage. For more information, you can visit the official website and read the requirement advertisement. Instated of Primary teacher vacancies, you need more education qualification for other teachers. The person who is willing to apply for a primary teacher for GSEB or Vidyasahayak Bharti must have qualified the age criteria. Along with education qualification, age criteria are an important factor, and the job aspirant must be less than 35 years. To know more about the age criteria you can visit the official website, i.e. www.vidyasahayakgujarat.org and read official requirement notification. 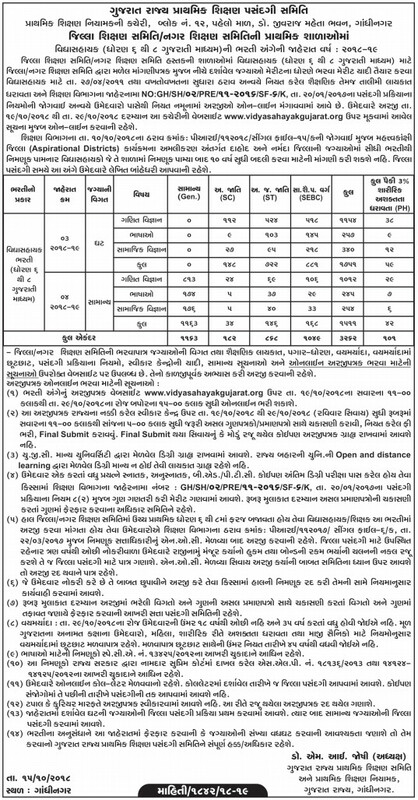 Recently Vidyasahayakgujarat.org published final merit list of 1st round and call letter for second round in their official website. This Merit List and call letter is for std. 6 to 8. If you want to download call letter then you need to follow below given few steps. If you have applied for the Vidhyasahayak Exam, i.e. for the post of a teacher (std 6 to 8), then its moment to Watch the recent update / news. They have published the notification instructions about call letter. Step 2: Then Click On Download call letter & Final merit list button. Step 3: There Enter “Form Number”,”TET Seat Number” & “Birth Date”. Step 4: Click On Search Button. Vidhyasahayak Bharti Form Will Be Available on 19th October 2018. So The Candidates Who want to apply online in this vidyasahayak recruitment 2018 can collect their documents and be ready at the starting date of online application form. Gujarat Vidhyasahayak Bharti 2018 online application is available at www.vidyasahayakgujarat.org for 3262 Vidyasahayak & Primary Teacher Posts. Please read entire details about Gujarat Vidhyasahayak Recruitment 2018 and know how to apply for this job. 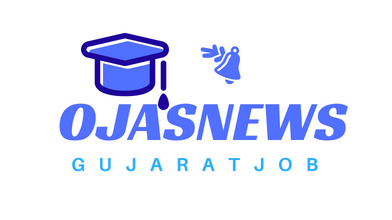 Find out Recruitment of Vidyasahayak Teacher in Gujarat 2018. Download the Official Notification as PDF file and read it carefully. Get back to homepage and select Apply Online link. Read all the important instructions before applying online. Fill up Online Application Form with necessary personal and educational details. Pay the Application Fee as per your convenience. Upload your recent passport size Photo and Signature as asked. Submit the Application Form online after it is completely filled up. Save your Application Registration Number for future reference. Take printout of Application Form record and more use. Online Application Procedure was started of vidhyasahayak recruitment Gujarat. If The Last Date is mentioned above so please fill up form before last date. The Website may be down on Last date of online application Form 2018. Some candidates are also searching for www.vidyasahayak.org or www.vidhyasahayak.org but the website for vidhyasahayak result or merit marks or candidates list is different.